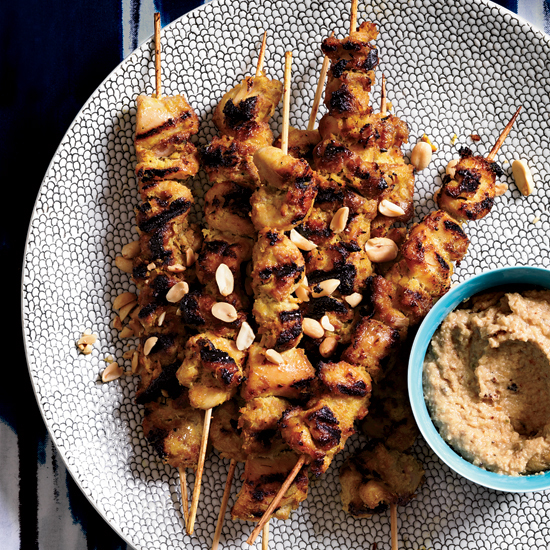 These spectacular kebab recipes include spicy chicken skewers, grilled shrimp satay, delicious yakitori and more. 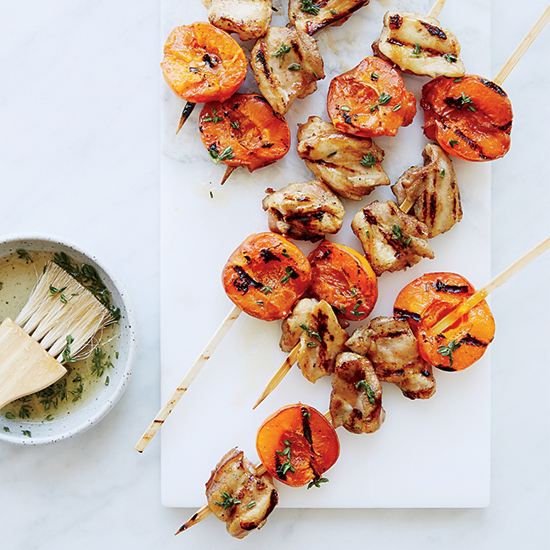 To amp up simple grilled chicken kebabs, F&W's Justin Chapple adds fresh apricots to the skewers and brushes them with a sticky, fragrant honey-thyme glaze. 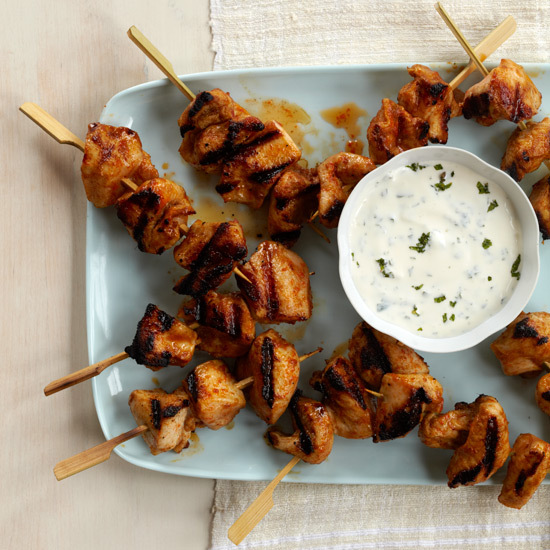 Simple and tasty, chef Jimmy Bannos, Jr.’s sweet-smoky chicken is a great go-to dish any night of the week. 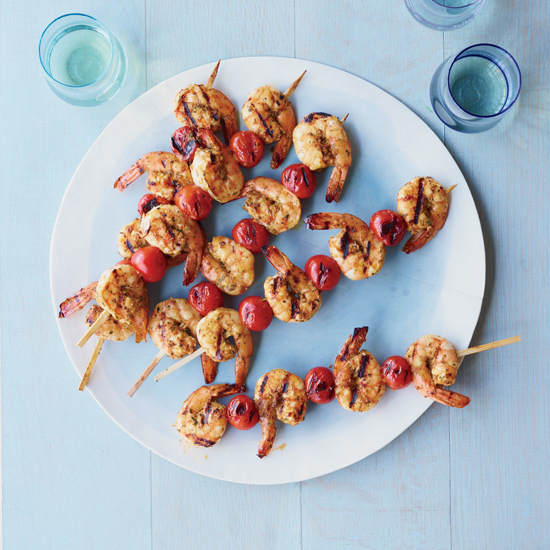 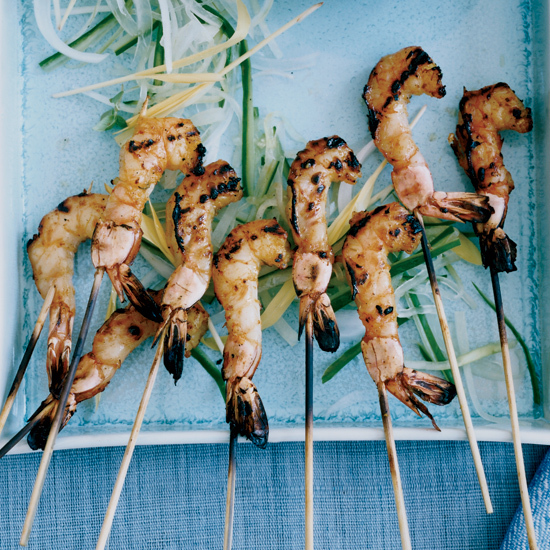 This is a perfect party dish because it's so easy to assemble, and you can marinate and skewer the shrimp ahead of time. 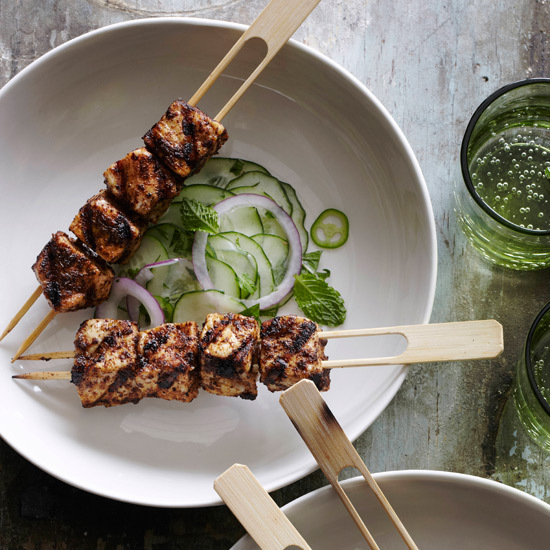 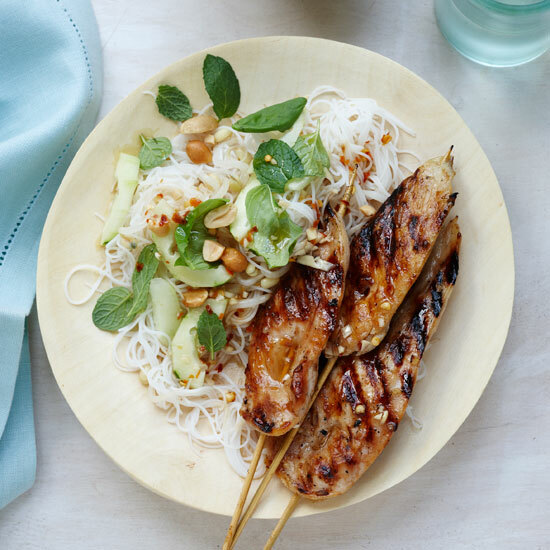 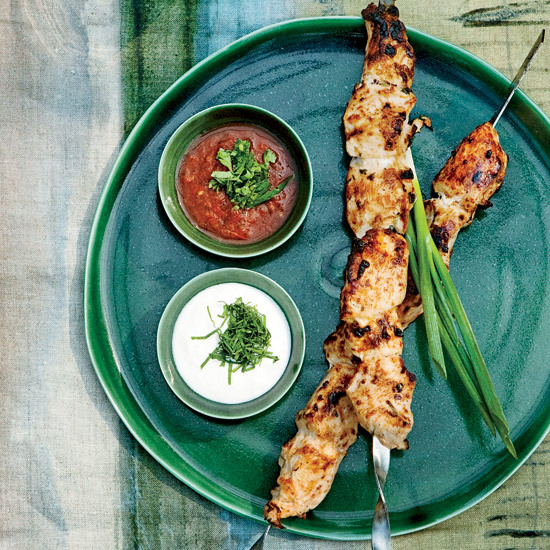 Susan Feniger's sweet-and-tangy marinated chicken skewers are adapted from her book, Street Food. 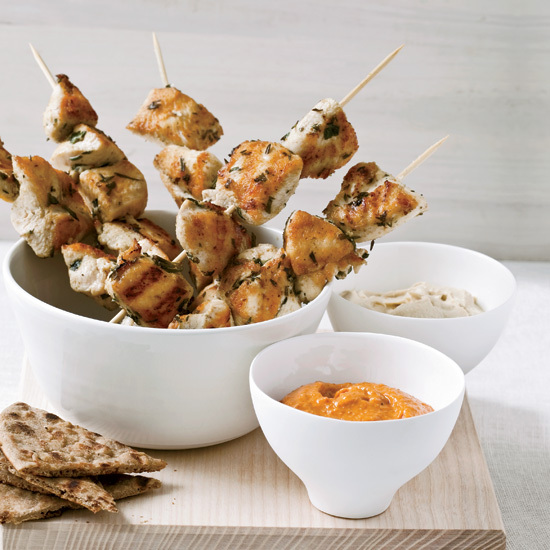 They are flavorful enough to eat on their own, but they're even better with the chunky currant-and-olive relish. 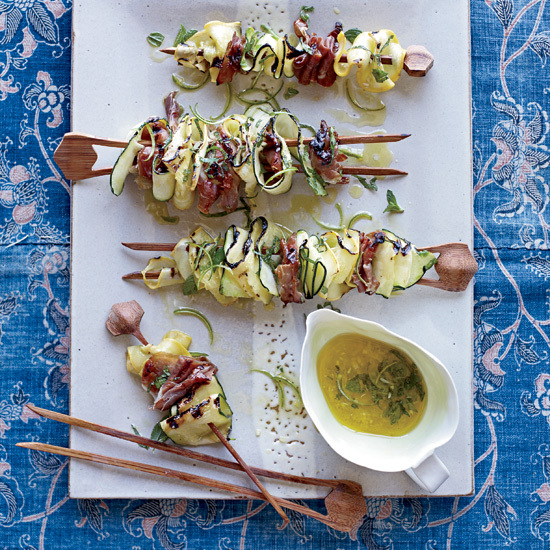 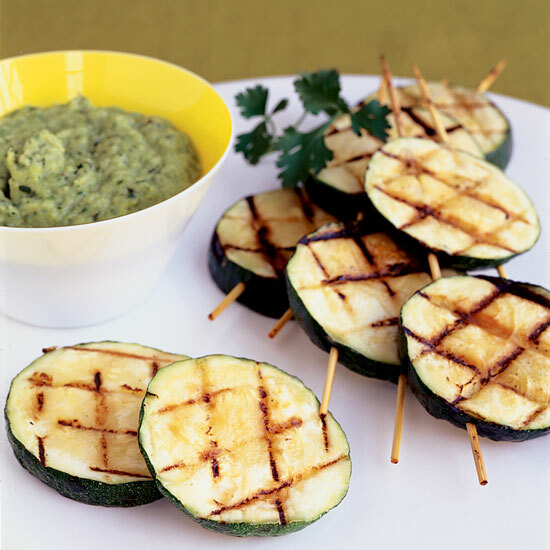 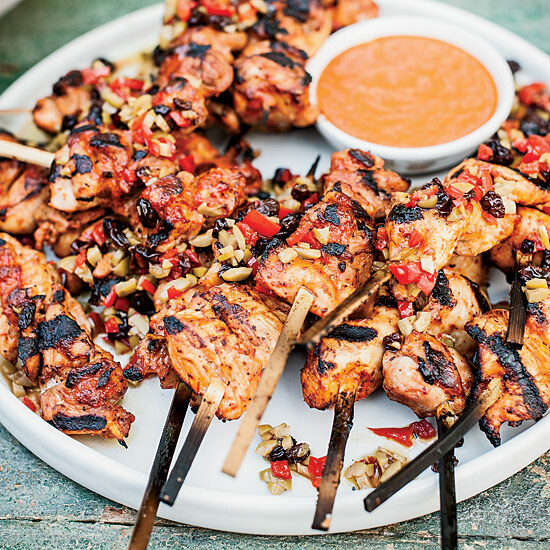 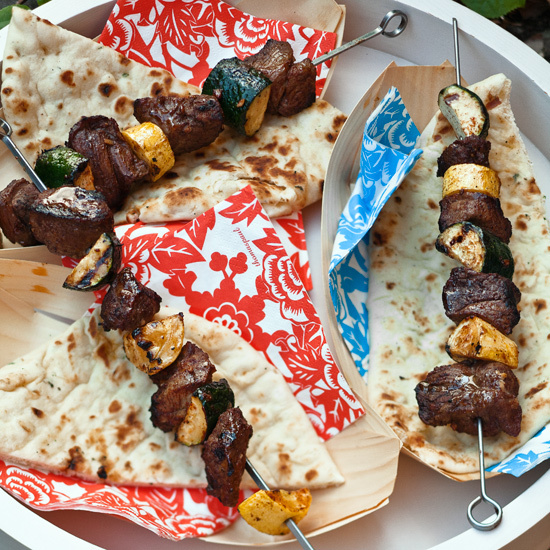 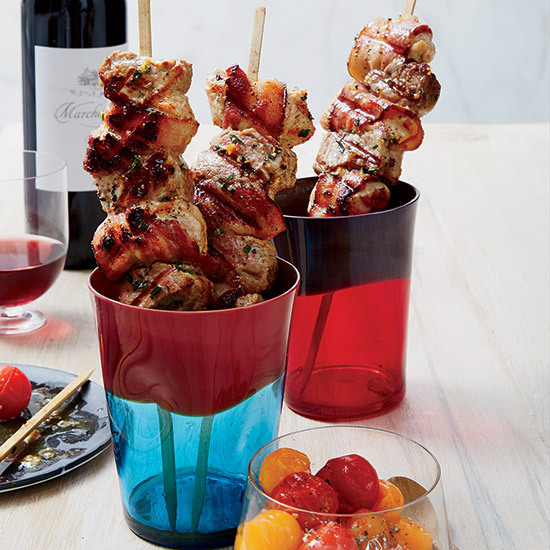 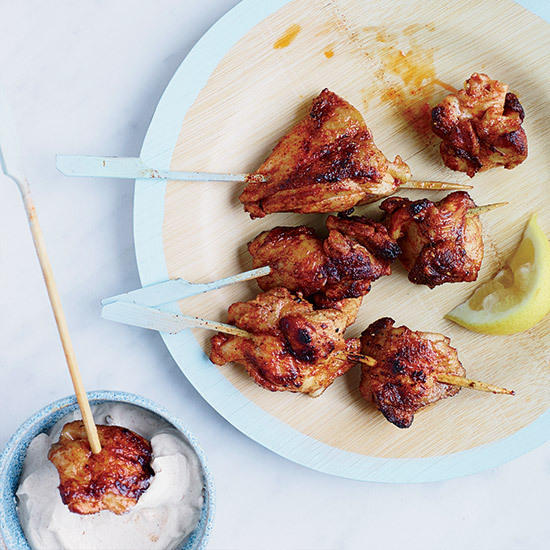 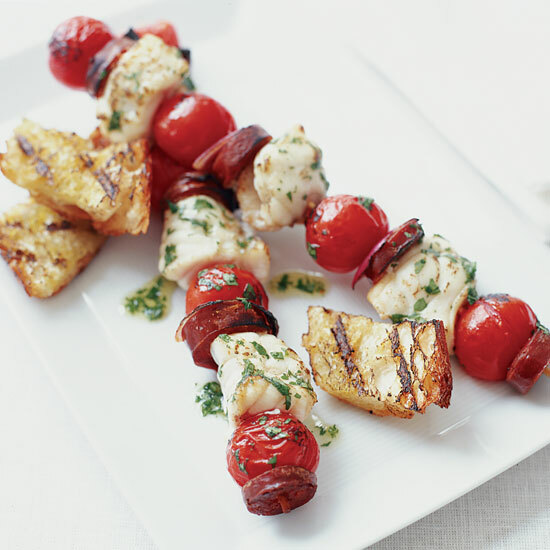 These sweet, charred chicken skewers make a terrific appetizer or passed hors d'oeuvre. 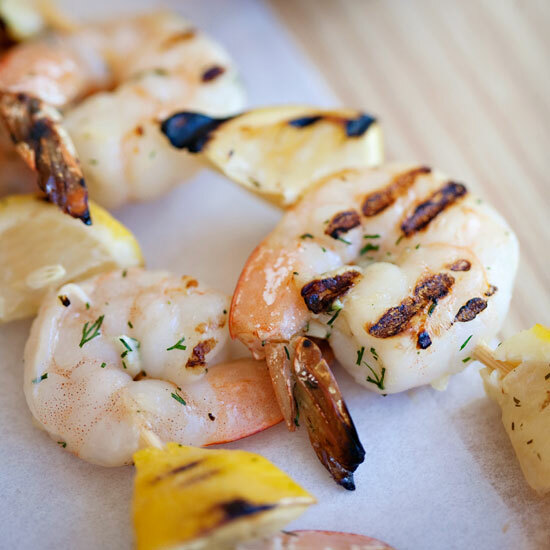 Swordfish is an extra-healthy choice since it's a source of omega-3 fatty acids, but the assertive spice rub here also works well on shrimp and pork tenderloin. 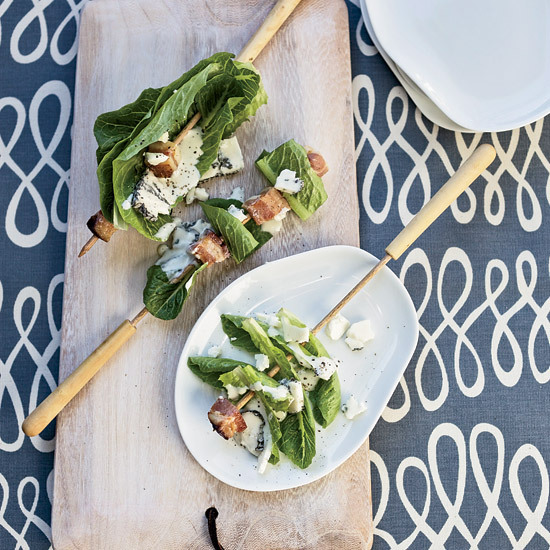 Wedge salad (iceberg lettuce with blue cheese dressing and bacon) is a classic American dish. 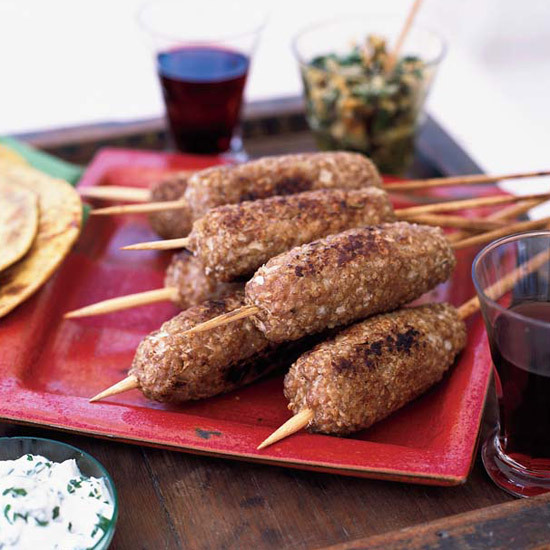 Here, James Holmes reconfigures it as a playful cocktail snack. 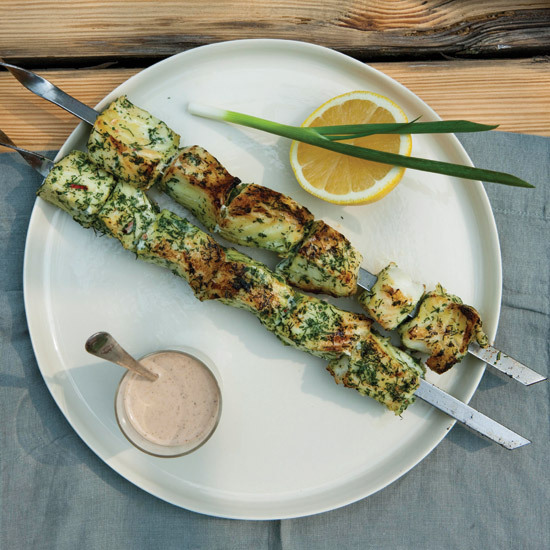 Chef Michael Solomonov adds onion juice or pureed onions to his Middle Eastern–style marinades to tenderize and caramelize the meat. 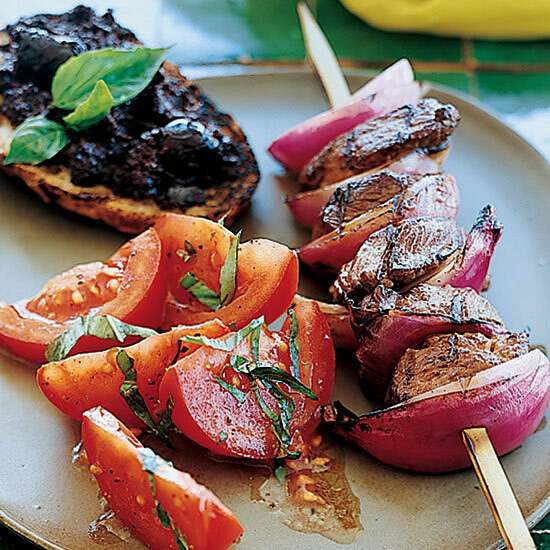 The marinade is great on chicken breast as well as lamb. 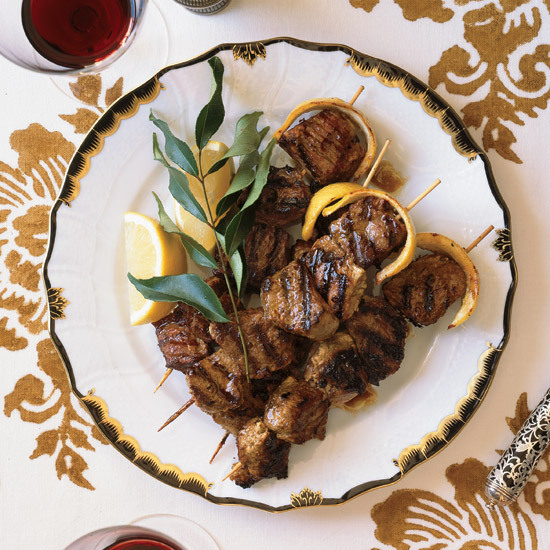 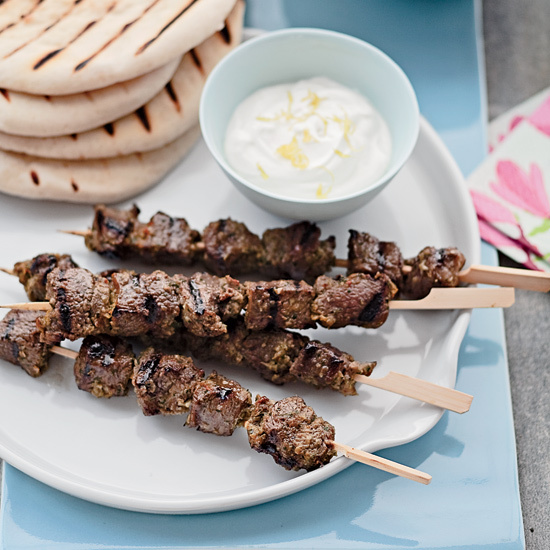 Here, lamb is marinated in yogurt to make it exceptionally tender, then given an extra burst of tangy flavor with a basting of lemon butter just before serving. 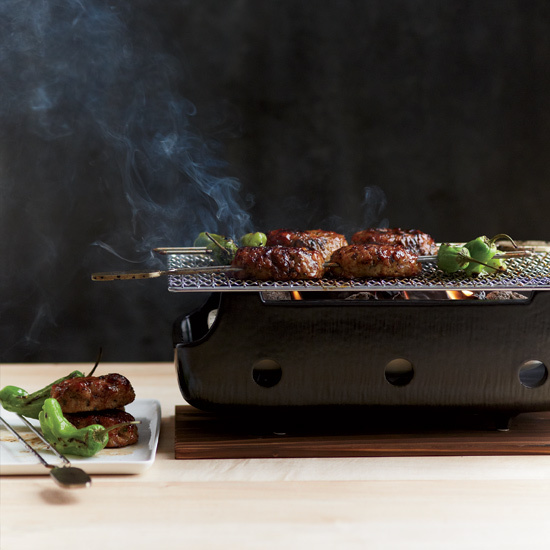 These juicy Japanese meatballs, known as tsukune, are grilled on skewers with the finger-size green peppers called shishitos. 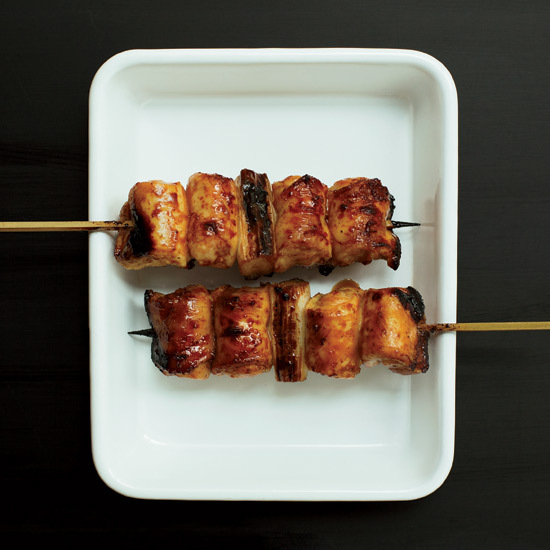 Most shishitos are mild, but about 10 percent are quite spicy, so be warned: There’s no way to tell which kind you’ve got before you bite.